this is my first experience with implementation of the egpu. During the implementation I encounter some of the small issues which I eventually resolved by "trail & error". Once I completed the implementation I decided to perform a new installation of Windows to have the clean install, the 2nd attempt went very smoothly :). In this guide I would like to share my experience & issues I encounter during the configuration of egpu (as best to my knowledge, as I did not take the notes ;-). To list local snapshots: "tmutil listlocalsnapshots / " & remove "tmutil thinlocalsnapshots / 10000000000 "
2. My MSDN Windows ISO was 1703 version which is no-go for BootCamp installation, therefore I downloaded Win10_1607 version. - Once I fixed above the installation was done properly. Basically my 2nd attempt was a plug & play experience (no error 12). However I encounter the issue that macbook is disabling my iGPU when the egpu is connected during the startup, so basically I had to perform the hotplug when Windows boot logo appeared. I used the "graphic on" in addition to the reddit guide, as otherwise there was some nasty kernel text on screen during the booting:). It seems that I am getting some H2D bandwidth degradation when I am using the apple_set_os.eif instead of hot-plugging at Windows boot logo. I am investigating and testing the above H2D performance, and I am not sure whether it is really related to rEFInd+apple_set_os.efi. When I change method and boot the windows with hotplug during the windows logo after first boot I get error 12 and Windows ask to reboot to resolve, I will do the reboot again with hotplug and the GTX1070 is working normally with proper H2D performance ... I can do multiple reboots with same method and it is ok.
As soon as I boot with apple_set_os.efi Windows will encounter again after first boot error 12 and ask to reboot. After rebooting again with same method it is working flawlessly without the problem. So I assume that H2D performance might be related how windows automatically resolve the error 12 ? I'm using a 2017 13" MacBook Pro nTB, and have had a ton of issues since receiving my AORUS GTX 1070 Gaming Box last Sunday. 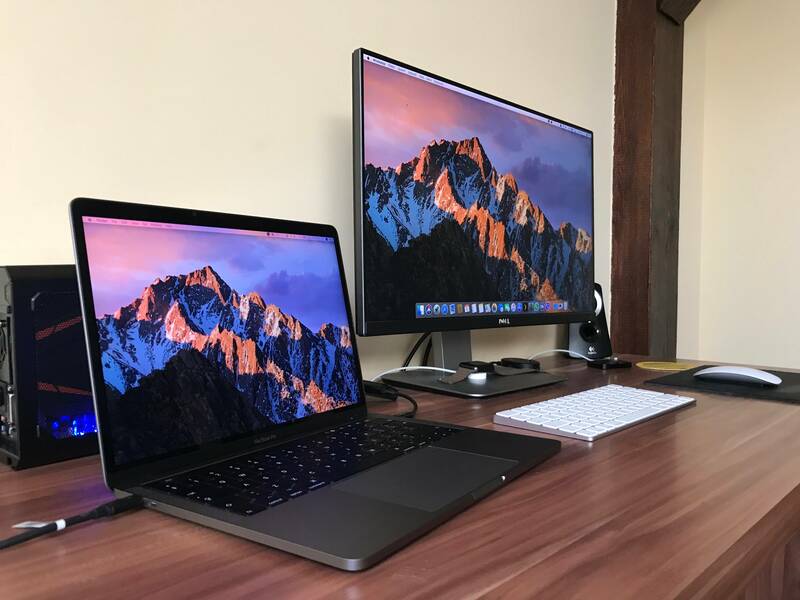 My goal here was to utilize my work 13" MBP as my home gaming solution. I come home, plug in a single TB3, and I'm good to game using the internal monitor. I could never get rEFInd to work with my APFS Encrypted volume. Being locked out, I was able to get into Recovery, kill rEFInd and implement apple_set_os.efi as a direct replacement for bootx64.efi. Eventually I got the thing setup. I could only ever get it to work with the MBP turned all the way off, and then manually plugging in the TB3 cable and having it boot to Windows. Any attempt to hot plug at the Windows logo would result with either a boot and the eGPU not being seen, or a freeze on the Windows boot logo, with graphical glitches. I thought I had the process all figured out, but 3DMark Time Spy would would fail after a few seconds. UNIGINE Heaven would run without issue at Extreme setting. 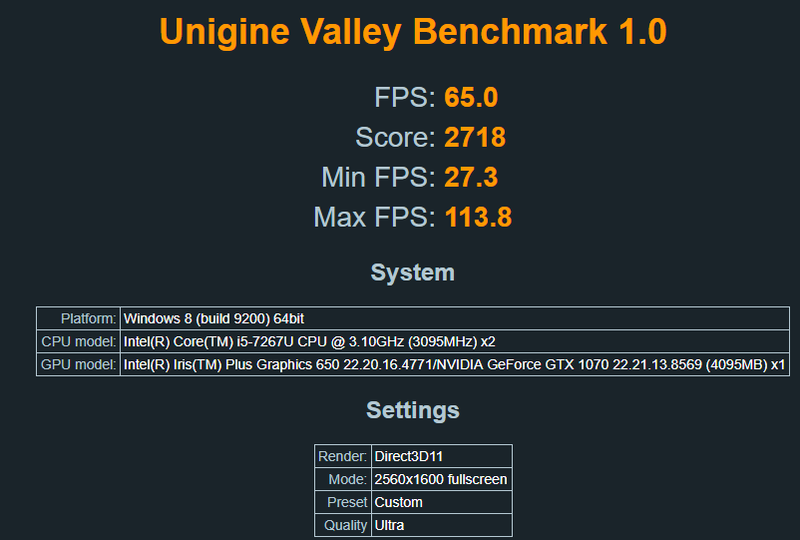 UNIGINE Valley at Extreme HD when benchmarking would fail 3/4 of the way through, crashing the app. I tried to play Mortal Kombat XL and find crazy horizontal screen distortion on the bottom half of the screen. Attempting to launch Planet Coaster, the thing would crash to desktop after a few minutes of play. DOOM and Rocket League on the other hand, worked fine! Eventually, I threw in the towel and killed my Bootcamp partition. I restarted the computer to macOS to find severe screen flashing. No number of PRAM resets or booting from Internet Recovery would fix the issue. It also seemed my Mac installation was now borked as I couldn't access any files. After a few hours, I turned the computer on again to find my Mac installation working properly, but with a bit less screen flashing. Eventually it subsidized and the computer has been working fine. I'm of the notion now that I have a bad logic board and need to get the computer fixed. 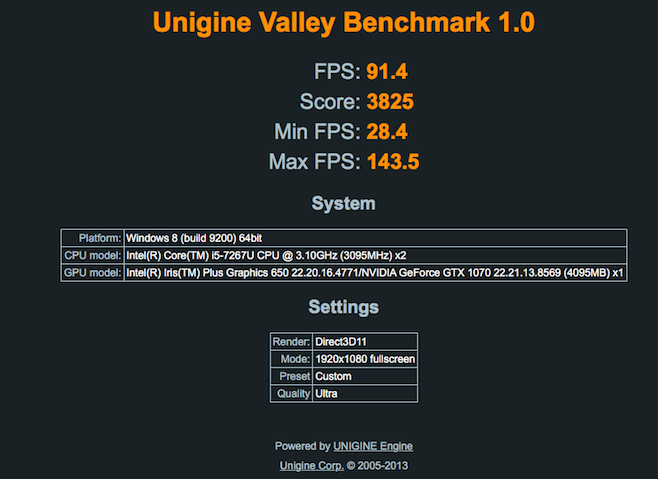 Can you do me a favor and try these benchmarks with your internal MBP monitor only, no external monitor plugged in? Maybe try some of your games on your internal MBP monitor, and let me know if you're seeing anything buggy or glitchy? If you're not, then that pretty much confirms after I get my logic board replaced that I'll be fine to continue down this path, or will require a replacement AORUS Gaming Box, if that's at fault. I just want to know I'm not wasting my time going down this path. I reaaaaaaaaally want this to work. It's the most cost and space effective way for me to PC game and with all of the success you and others are having, why can't I have success? 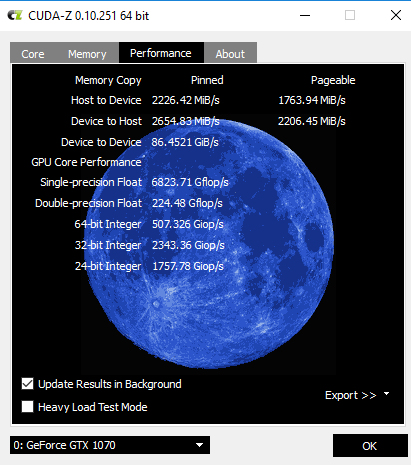 1. a lowered H2D TB3 eGPU performance. 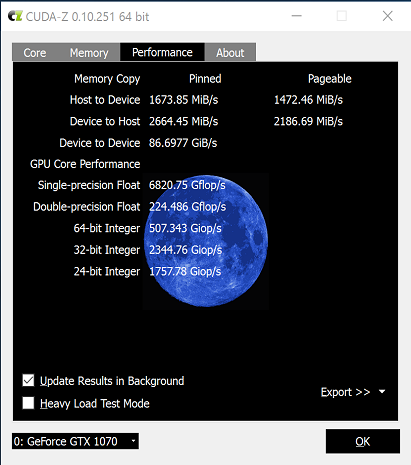 We have noted that CUDA-Z runs under macOS do give these same lower H2D results. 2. Different pre-allocation of PCIe devices when booting a Windows versus fake macOS boot. Hence the requirement to do a reboot to resolve error 12 when switching to either bootup mode. @atomsapple: Sorry to hear about your problems. 1. rEFIND : I don't think direct replacement of boot.efi with apples_set_os.ef was a good solution (anyway I am still new to macOS booting process), if your APFS was not recognized by rEFInd you can always boot a macOS standard way - holt the "option key" during the startup of PC, it should automatically bring you standard macOS boot loader (manager?) and you can start the macOS normally (I done it this way till I got my rEFInd to detect macOS partition). 2.macOS: Does it work properly now ? Do you still have the screen glitchy / buggy problems ? Before any replacement I would suggest you to backup the important data, and try to reinstall completely your macOS via recovery and afterwards install the windows. For some of the first testing you don't need the rEFInd or something. Just boot into Windows connect graphic card and install drivers. Do the shutdown disconnect the cable, turn of the PC with option key pressed, select Windows to boot and plug the eGPU. 3. games: I did tested the Mass Effect Andromeda & Witcher on internal screen it seems ok.
@nando4: Thanks for your input. Well all the reason behind the apple_set_os.efi was my comfort, that I don't have to do hotplug everytime when I boot Windows ... It would be nice to solve this issue somehow, but it is not critical : -) . Did you used Apple out-of box thunderbolts drivers which installed directly with Windows? Or you tried to installed latest ones ? As I remember I used the original out-of-box, so after Windows installation, I just plug Aorus installed NVIDIA drivers, rebooted with option key to select Windows, once the Windows boot logo showed I hot-plug the Aorus, and it was detected in the Windows properly. I have the exact same problem. On both Mac and Windows(with apple_set_os.efi) I get around 1600 MiB/s H2D which is way lower than the average we see here. It is annoying but for windows you can kind of fix it by hotplugging as @lexine said, but the problem is the MacOs. What I'm guessing is that MacOS somehow restricts the bandwidth on TB3 on boot and because apple_set_os.efi is a fake MacOS boot, it is also restricted after it is booted to windows. Really hope someone can come up with a solution.